What is an Acute Apical Abscess? A lower molar tooth with deep caries (tooth decay), which provided a pathway for bacteria into the pulp of the tooth and led to an abscess at the root apex. Acute apical abscess is a painful condition in which the apex (tip) of a tooth’s root becomes inflamed, often resulting in swelling and fever. Almost always, the condition occurs following a long-term infection. To clarify the definition of the term, “apical abscess”, it is becoming more commonplace to hear the term “periradicular” instead of “apical” or “periapical”. This is because the word “apical” implies that the problem originated at the tooth’s root tip; “periapical” implies that it began somewhere around the root tip. In fact, the problem frequently originates along the root somewhere (periradicular). Thus, the terms acute apical abscess, acute periapical abscess, and acute periradicular abscess all represent the same process—the problem just arises at different places along the root. Where an infection originates along a tooth’s root gives the dentist clues as to the cause. Most often, a leaking filling or crown allows access to the root canal through the top of the tooth, and the bacteria eventually exit at the root tip—resulting in an apical infection. 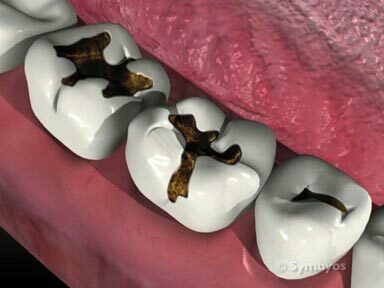 A tooth which has experienced bone loss around it may afford bacteria access along the root somewhere, resulting in a periradicular abscess. Teeth which have been injured or forcefully moved (luxated), frequently experience periapical injuries due to mechanical leverage forces applied on the tooth. There are many other possible mechanisms for allowing bacteria access to the tooth and its surrounding structures. How does the dentist diagnose an Acute Apical Abscess? Sudden (acute) pain, arising out of a long-term infection. * Although the patient may not be aware of a long-standing infection, the tooth now hurts when biting, chewing, or tapping on it. Swelling may or may not be present, depending on whether the intense pressure from the infection has been able to vent into or through the tooth’s bony housing. The patient’s pain is typically relieved to some extent by application of cold substances to the affected tooth, and they often present to the dentist sipping ice water. Cold temperatures reduce the gas pressure created by bacteria which have infected the inside of the tooth. *A phoenix abscess has all of the same symptoms as acute apical abscess, but shows a dark area around the root on X-ray images. The term “phoenix” is an older term, and its use is becoming less commonplace in favor of more descriptive terms such as “chronic” (which generally features a lesion that can be seen on X-ray) and “suppurative” (draining). Drainage from infections can produce a bad taste and bad breath (halitosis). How is an Acute Apical Abscess treated? An acute apical abscess generally requires urgent treatment to relieve the pain and swelling (if present). In some circumstances, antibiotic medication may be prescribed to localize the infection and allow the tooth to be treated more comfortably. 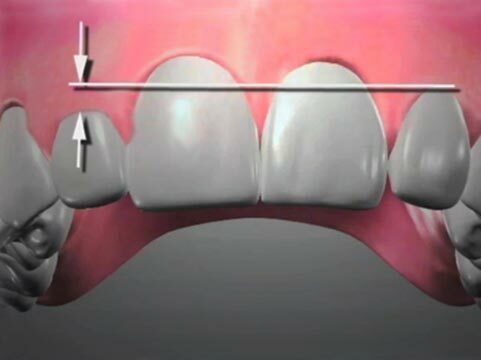 Adjusting the bite on the tooth may provide some immediate relief, but will not solve the problem (which is infection). Saving the tooth requires definitive treatment – generally endodontic therapy (most commonly a root canal procedure). Depending on where in the mouth the tooth is located, its restorative history (i.e. caries, fillings, crowns, etc. 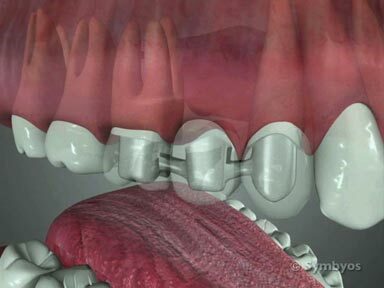 ), the tooth may require additional procedures following root canal treatment. Removal of the tooth (simple tooth extractions and surgical tooth extractions) may also be an option. One or more X-rays (radiographs) of the tooth will usually be needed to plan and safely perform treatment.